We just have to shout about Superfast Business Cornwall! Superfast Business Cornwall have been supporting SME’s, start-ups and social enterprises in Cornwall and the Isles of Scilly that want to harness digital technology in order to grow. They are offering a 12 hour fully funded programme that is supported by the expert advice of the Superfast Business Cornwall team, who provide a range of helpful resources, workshops and 1 to 1 advice. 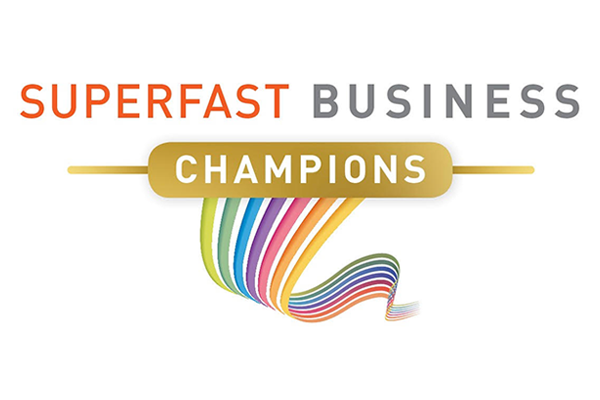 As a result of taking part in the programme we have achieved the Superfast Champion status for “An exemplar of exploiting digital technology for growth and sharing expertise and best practise with other businesses”. With support from Superfast Business Cornwall’s Business Enabler Steve Edwards we took on a project that had been on our to-do list for a very long time- re building our digital production system and creating a brand new, all singing, all dancing CRM system. We worked in collaboration with Steve to evaluate the old system and to map out the new one, with the end result of being able to easily access information and manage projects for our clients. If you are looking to use digital technology to grow your business, contact Superfast Business Cornwall and make the most of this opportunity before the programme ends in March 2019.